In the Beginning: Science Faces God in the Book of Genesis. The beginning of time. The origin of life. In our Western civilization, there are two influential accounts of beginnings. One is the biblical account, compiled more than two thousand years ago by Judean writers who based much of their thinking on the Babylonian astronomical lore of the day. The other is the account of modern science, which, in the last century, has slowly built up a coherent picture of how it all began. Both represent the best thinking of their times, and in this line-by-line annotation of the first eleven chapters of Genesis, Isaac Asimov carefully and evenhandedly compares the two accounts, pointing out where they are similar and where they are different. "There is no version of primeval history, preceding the discoveries of modern science, that is as rational and as inspiriting as that of the Book of Genesis," Asimov says. However, human knowledge does increase, and if the biblical writers "had written those early chapters of Genesis knowing what we know today, we can be certain that they would have written it completely differently." Isaac Asimov brings to this fascinating subject his wide-ranging knowledge of science and historyand his award-winning ability to explain the complex with accuracy, clarity, and wit. Isaac Asimov was a Russianâ·born American writer and the author of nearly five hundred books. He is credited as one of the finest writers of science fiction in the twentieth century. 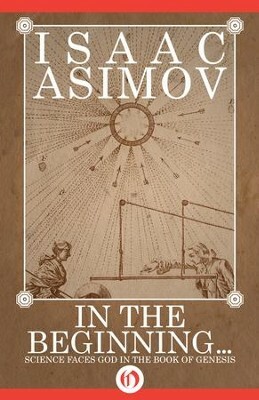 Many, however, believe Asimovs greatest talent was for, as he called it, "translating" science, making it understandable and interesting for the average reader. I'm the author/artist and I want to review In the Beginning: Science Faces God in the Book of Genesis - eBook.